Disagree with a host's views? Don't advertise on his or her show in the first place, advise crisis comms experts. The playbook for how companies should act in today’s hyper-political environment is being written on the fly, but there is one golden rule: marketers should protect brands from becoming ensnared in divisive scenarios in the first place. Such left-versus-right divides are usually a no-win situation for brands, clogging their social media feeds between comments from detractors and supporters. The latest example is the decision by more than a dozen advertisers to yank their media buys from Laura Ingraham’s show on Fox News Channel after she belittled Parkland shooting survivor and gun control activist David Hogg for college admission rejections. These marketers included family oriented companies such as Johnson & Johnson and Bayer. "Companies shouldn’t reflexively pull ads at the first sign of controversy. Having an advertising or brand strategy that whipsaws based on perceived public opinion doesn’t work," says Michael Rubin, SVP at Levick. "Consumers respect companies that share their values, but any benefit or damage to a brand related to whether a company advertises on a show or not is extremely short-lived. As soon as the next issue emerges, people forget who pulled what ads last time." Even easier, "if hot topics that matter to a brand are addressed on a show, don’t advertise on it," he advises. The rule should be applied not only to cable news shows but all programming. For instance, the reboot of ‘80s and ‘90s sitcom Roseanne – despite monster ratings for its first episode – may not be a fit for some brands because star Roseanne Barr is a prominent supporter of President Donald Trump and has made controversial remarks in interviews and on Twitter, Rubin notes. But what if a brand does find itself in a situation like many did with The Ingraham Angle? Rubin counsels marketers to adopt the strategies of Johnson & Johnson and Bayer and issue very short statements, if anything at all. Without commenting on the conservative pundit or its own brand values, Bayer made the following statement on Twitter: "We have stopped advertising on Laura Ingraham and we have no plans to resume any time in the future." Dan Childs, director of U.S. external communications at Bayer, says the company will be making "no further comment about this matter." In a statement to media outlets, Johnson & Johnson says it "will pull advertising from Ms. Ingraham’s show." The brand did not respond to requests for additional comment. "When an issue is highly politicized, companies should view the decision to pull ads as a defensive one," Rubin explains. "[Brands] should make only a brief statement or not statement at all." 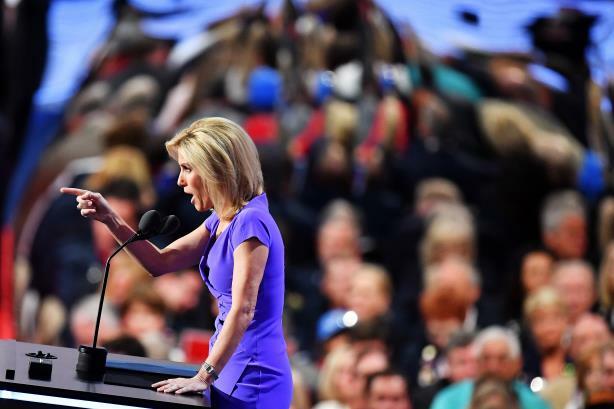 Fox News has told media outlets it is standing by Ingraham, with network co-president Jack Abernethy saying it "will not allow voices to be censored by agenda driven intimidation efforts." A Fox News representative did not respond to requests seeking comment. Not all brands are taking the short and sweet approach. Both the resort Atlantis Paradise Island and travel-booking site TripAdvisor announced their ad pulls with broader statements about corporate values. "Although we are an organization that believes in freedom of expression, we do not condone discrimination, bullying, mockery, or harmful behavior of any kind," the Bahamas resort said. TripAdviser also distributed a lengthier statement to the media. "We also believe Americans can disagree while still being agreeable, and that the free exchange of ideas within a community, in a peaceful manner, is the cornerstone of our democracy," the travel website said in a statement. "We do not, however, condone the inappropriate comments made by this broadcaster. In our view, these statements focused on a high school student, cross the line of decency." A TripAdvisor spokesman said the company didn’t have anything to add beyond the statement. Communications experts including Joanna London, a senior director at APCO and head of the firm’s corporate communications practice in Washington, DC, and Ken Makovsky, founder, president, and CEO of his eponymous agency, argue brands can underscore their values when making ad buying decisions. "Brands have an obligation to sometimes take a strong position and make it known," says London. "That means, for brands, having a disciplined approach to what is in and out of bounds issues they’ll speak up about. They can’t be commenting on everything. Stakeholders expect brands to have opinions on things directly relevant to their business, but not on issues, however pertinent at the moment, outside the territory of the brand’s business purpose and corporate values." Makovsky credits Atlantis for explaining its decision and leaving no question about its brand values. However, he says a better play is to avoid advertising on programs that might run afoul of their beliefs in the first place. Makovsky suggests advertisers develop a values manifesto that extends to their media buying. "Every advertiser has to have a manifesto that speaks to identifying their values, especially in an age when there are so many TV channels to carry their message," he counsels. "This manifesto would be their guide on the kind of programs that they’d advertise on, and also the programming to navigate away from because they could be a threat to their reputation and values. The manifesto has to be very discreet and also be very precise about what the brand can afford to tolerate and what it can’t."